Another period of decline for Buffalo, NY. The merged Penn-Central Railroad was talking bankruptcy; the old New York Central Terminal in Buffalo was being abandoned. 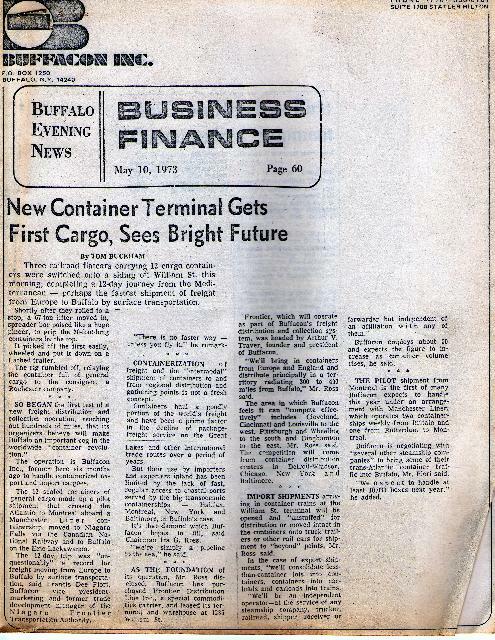 There was a bright spot on the Buffalo scene in 1973. 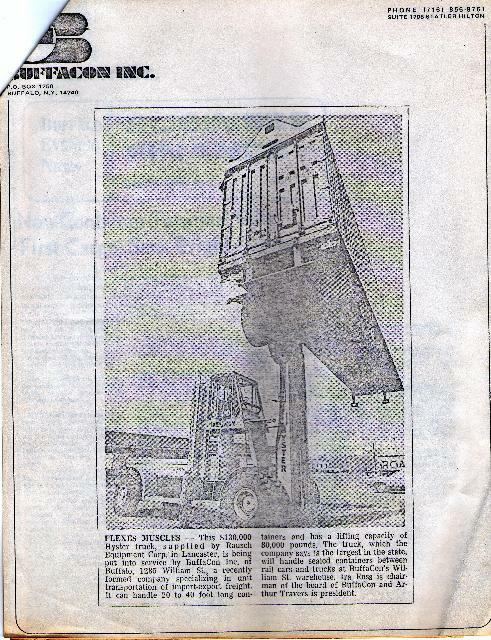 A man with a long history in transportation had a wonderful dream. Because of its unique geographical location, Buffalo had been the second largest transportation center in America. Buffalo still had that unique geographical location on the Great Lakes, on the border with Canada and a rail system still largely in place. 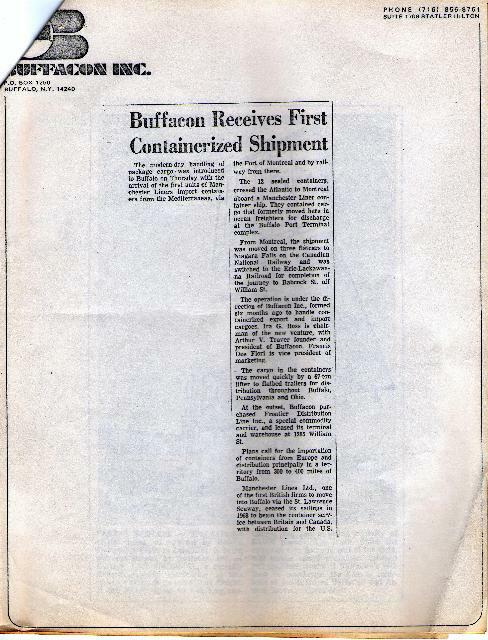 The man was Arthur Traver and his vision was for a bonded inland container facility with an economical, efficient and fast route to Europe and the world. 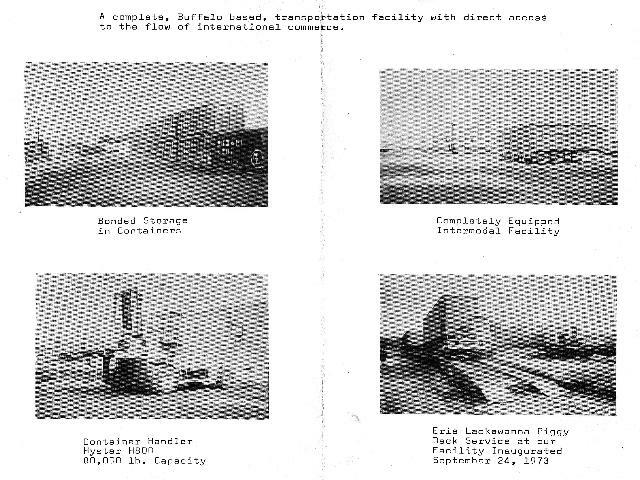 The facility was built at the corner of William and Babcock streets in Buffalo with access to the Erie-Lackawanna Railroad with interlining to the Canadian National Railway at Fort Erie, Ontario and on to the port of Halifax, NS. 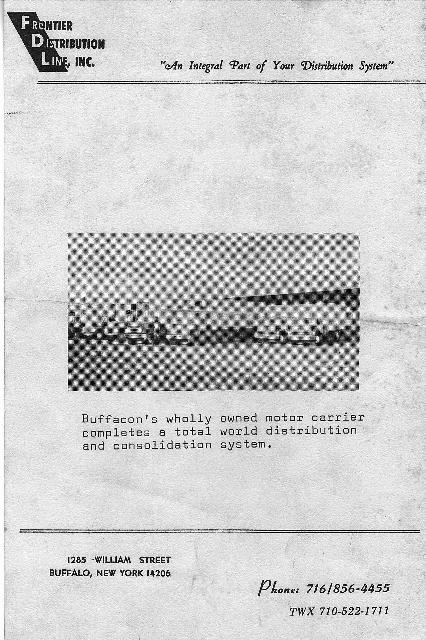 Some day I plan to write the whole story of the rise and fall of Buffacon. 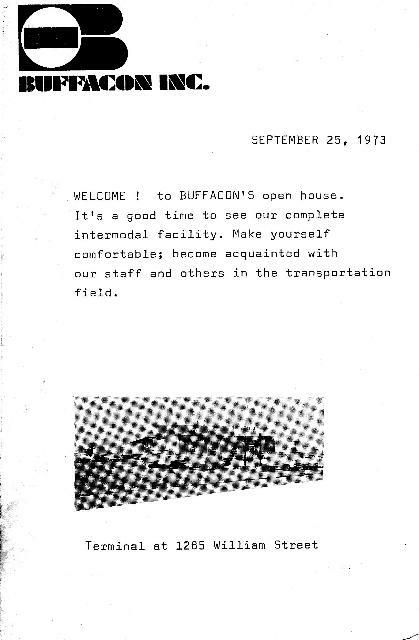 But for now, I present those readers who have an interest in trannsportation or in Buffalo history some documents from that hopeful time.